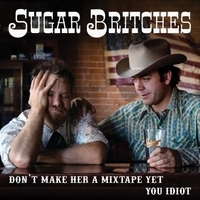 Sugar Britches write poignant, lively and fun honky-tonk music for your ear holes. Sugar Britches are a Colorado based honky-tonk duo comprised of Brian Johanson (Vocals, guitar, writing) and Josh Long (Electric guitar). Their first album "Don't Make Her a Mix Tape Yet, You Idiot" features songs of heartache, dating, addiction and sobriety.